Sometimes what leaders say is as important as what they don’t. 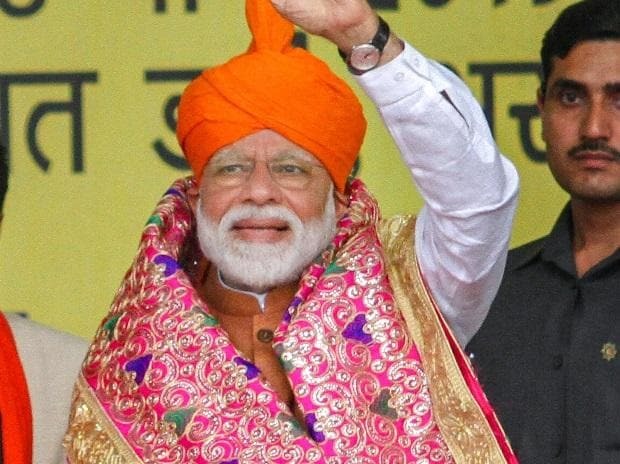 As Andhra Pradesh and Telangana hurtle towards the Lok Sabha elections — with the former holding Assembly elections simultaneously on April 11 — it is quite clear who Prime Minister Narendra Modi’s friends and foes are, especially for the future. In Rajamahendravaram (Rajahmundry for those bewildered by the new name), Modi held a massive public meeting on April 1. He lashed out at N Chandrababu Naidu, Andhra chief minister and former BJP ally, as only Modi can. Comparing him to the character Bhallaladeva in the movie Baahubali, he called him ‘Heritage’ Babu, a reference to Naidu’s company, Heritage Foods, which has shown huge profits in the five years that he has been in power. But what about the other political actor, the YSR Congress, which is also contesting the Assembly and Lok Sabha polls? Modi said nothing at all. ALSO READ: Elections 2019: Can the BJP repeat its 2014 performance in west UP? Compare this with his statements in 2014 when TDP was the BJP’s alliance partner and YSR Congress was on the verge of being dislodged. At a public meeting in Tirupati, Modi had said: “If you want a Swarnandhra (jewel Andhra), I am here for you. Whatever you need to build your state, I will grant it. But if you vote for Scamandhra, no matter what the government in Delhi does, the benefits will not reach you." About Naidu, he had said: “Both our minds work the same way. His mind always thinks of development. Even I always think of development... Both of us have grand plans." Days ahead of the tour, the government announced a new railway zone for Andhra Pradesh. Union Railway Minister Piyush Goyal made a brief statement in New Delhi that the government intended to create a new railway zone, with Visakhapatnam as the headquarters. The Waltair railway division will be divided to facilitate the formation of the new zone. A new division would be formed at Rayagada in Odisha and some of the stations now under Waltair would be merged with that division and some of the stations in Andhra would be merged with the Vijayawada division, Goyal said. This is partial fulfilment of a demand made by the TDP for years. ALSO READ: Where is the money? The PM’s move of dropping any reference to the YSR Congress did not go uncommented and unrewarded. In Delhi, on March 3, Y S Jaganmohan Reddy was gracious to Modi. He praised the prime minister for his strong political will for the air strike on Jaish-e-Mohammad’s camp across the Line of Control but wondered if it would help the BJP during the elections in Andhra Pradesh. Of course it would not — BJP does not have the organisational set-up to derive political advantage from it. But on an invitation by Narendra Modi to Jaganmohan Reddy to come out and play, Reddy was responding: OK, what shall we play?